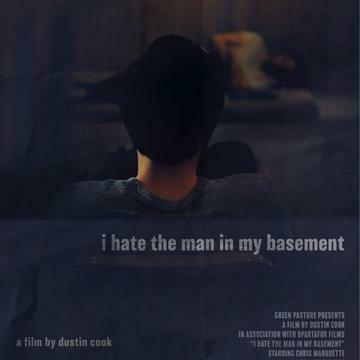 It is in some ways a unique yet important choice to reveal what is essentially "the secret" very early on in I Hate the Man in my Basement, the first feature film from writer/director Dustin Cook that just had its world premiere at the 2017 Newport Beach Film Festival. At first, you're sitting there thinking to yourself "Why on earth would they do the "big reveal" now?" I Hate the Man in my Basement is an extraordinary gem of a film that takes the familiar and makes it unfamiliar in telling the story of Claude (Chris Marquette, Just Friends, The Tic Code), whom we meet in the early stages of his grieving the unexpected death of his wife. He tries to move on with the help of work friends like Riley (Jeffrey Doornbos, Fat Kid Rules the World) and, eventually, hints of a romance with Kyra (Nora-Jane Noone, The Descent, The Magdalene Sisters). It's hard to move on when you're living with one big Secret. While I Hate the Man in my Basement in some ways centers around that "secret," the truth is that it's how that secret weaves its way into the lives of everyone involved in the film that is the real genius of a film that creeps into your psyche' and finds its way into your heart then just sort of bounces its way around as Cook takes that secret and makes it mean different things at different times throughout the film. It's bold. It's genius. Oh yeah, and it's a hell of a lot of fun to watch. Much of the success of I Hate the Man in my Basement depends upon the success of its case weaving its way around the more complex than you might expect from what at first appears to be a rather formulaic psychological thriller. As Claude, Chris Marquette is simply extraordinary here in projecting a character who must, by absolute necessity, be both extremely sympathetic and jarringly off-kilter while reaching for a seemingly unattainable sense of normalcy. The real mastery of Marquette's performance is that he does, almost unfathomably, achieve some skewed sense of normalcy that makes everything around him feel that much more off-kilter. The supporting performances are equally as key to the film's success with Nora-Jane Noone doing a remarkable job of taking what becomes an almost absurd situation and breathing authenticity and honesty into it up until an ending that, while not completely surprising, feels right and leaves some loose ends up to the viewer to the audience to explain. Jeffrey Doornbos takes what could have easily been a one-note role and turns it into so much more as Riley, that almost stereotypical friend who tries really hard to be helpful but more often than note ends up doing the wrong thing. 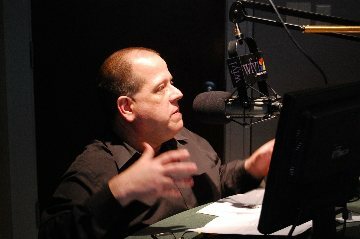 Doornbos, whose background includes a tenure as a Blue Man in Blue Man Group, is occasionally funny and frequently rather endearing but never a complete caricature. Manny Montana (Graceland, Conviction) is another example of someone who takes what could have so easily been a one-note role and turns it into something completely and utterly compelling and unforgettable. He takes someone who could so easily be an undesirable human being and transforms him into a complex, compelling human being. In lesser defined roles, both Mary Birdsong and Cyrus Farmer also have moments to shine here. I Hate the Man in my Basement is a morally complex film with moments of pure entertainment woven into the film's tapestry that help to make it an even more satisfying cinematic experience with hints of drama, comedy, thriller and crime action all poking out of Cook's immensely involving story. D.P. Todd Bell, who worked on Cook's short film Mother and Brother, expertly lenses the film in a way that allows every moment of the film, from its taut suspense to its light romance and humor, to breathe life. The original music from Jeffery Alan Jones is nothing short of extraordinary in serving as companion to the film without ever actually telling its story. At times quiet and disciplined and at other times emotionally resonant, it's the kind of original score that deserves mention come awards season. If I were to come up with a top ten at this point of the year in 2017, I Hate the Man in my Basement would most assuredly be on it and, quite honestly, I wouldn't be surprised to see it find its way into my year-end top tens at the end of the year. A micro-budgeted effort filmed over the course of 14 days, I Hate the Man in my Basement carries with it that same sense of urgency and it radiates throughout the entire film. If you get a chance to check it out, and I truly hope you will, this is a film you won't want to miss.